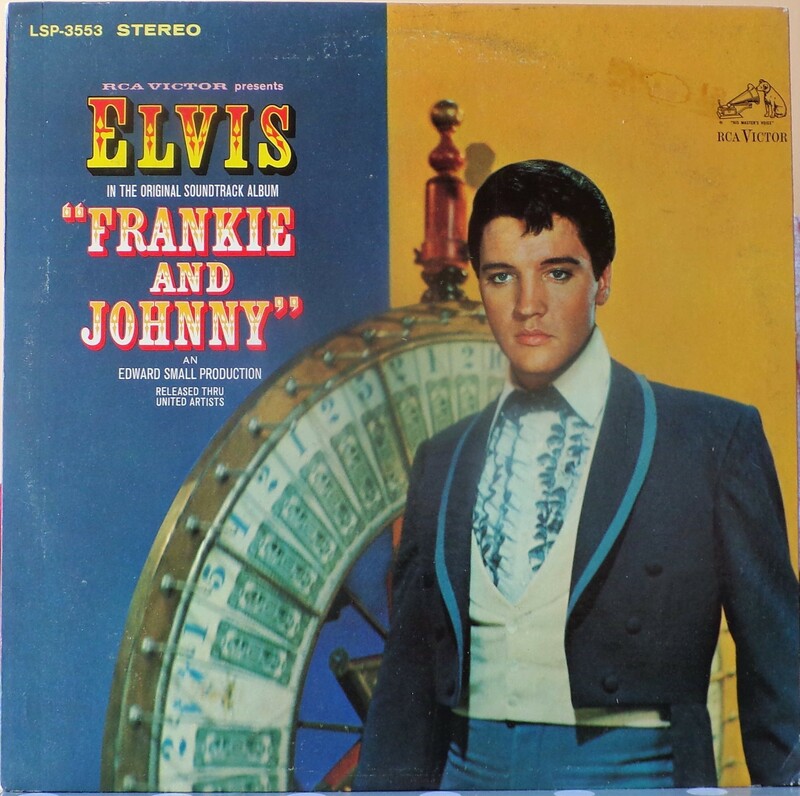 Frankie and Johnny is the twenty-fifth album by Elvis Presley, released on RCA Victor Records in mono and stereo, LPM/LSP 3553, in March 1966. Recording sessions took place at Radio Recorders in Hollywood, California, on May 12, 13, and 14, 1965. It peaked at #20 on the Top Pop Albums chart. It was certified Gold and Platinum on 1/6/2004 by the R.I.A.A. To coincide with the 19th century setting of the film, some traditional song material was utilized for the soundtrack. "When the Saints Go Marching In" is an old gospel hymn that has become a jazz standard associated with the traditional hot jazz of New Orleans. It is paired in a medley with "Down by the Riverside," another traditional gospel song dating back to the relevant time period. Both are in the public domain, and the team of Giant, Baum, and Kaye captured the publishing for Freddy Bienstock and the Colonel. 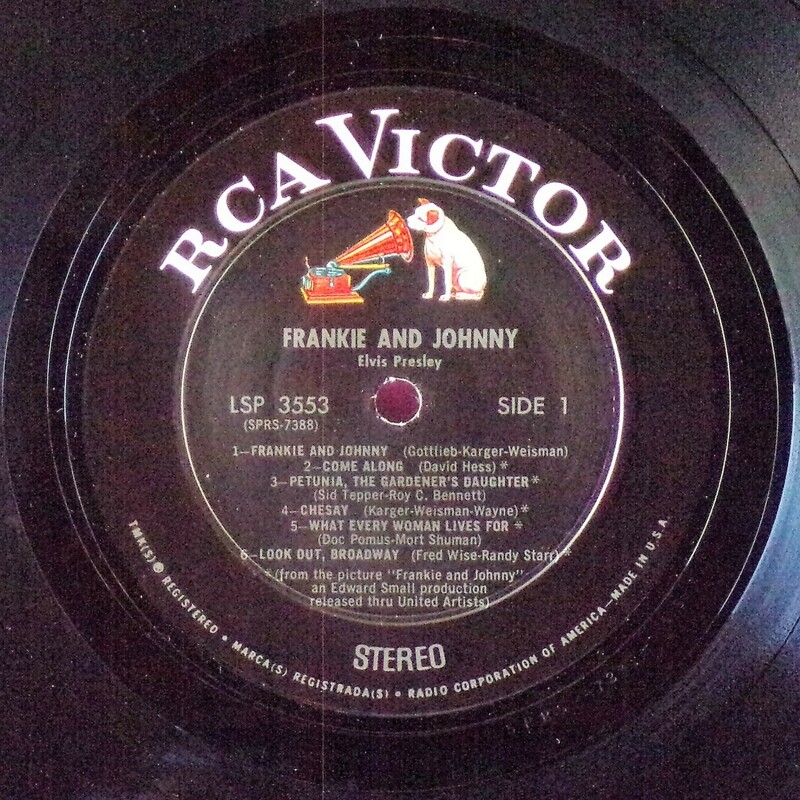 The title song, "Frankie and Johnny," is a variant on the American popular song first published in 1904 and credited to Hughie Cannon. With changed lyrics, another publishing royalty was secured for Gladys Music. 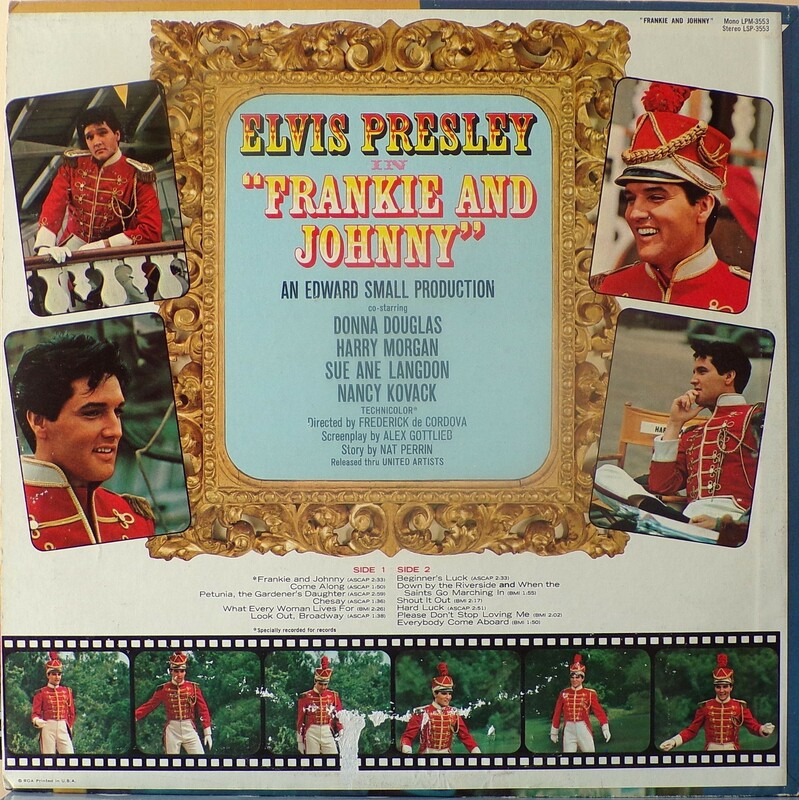 Twelve songs were recorded at the sessions for Frankie and Johnny, and all were used and issued on the soundtrack. The title song was issued as a single, with "Please Don't Stop Loving Me" on the b-side. 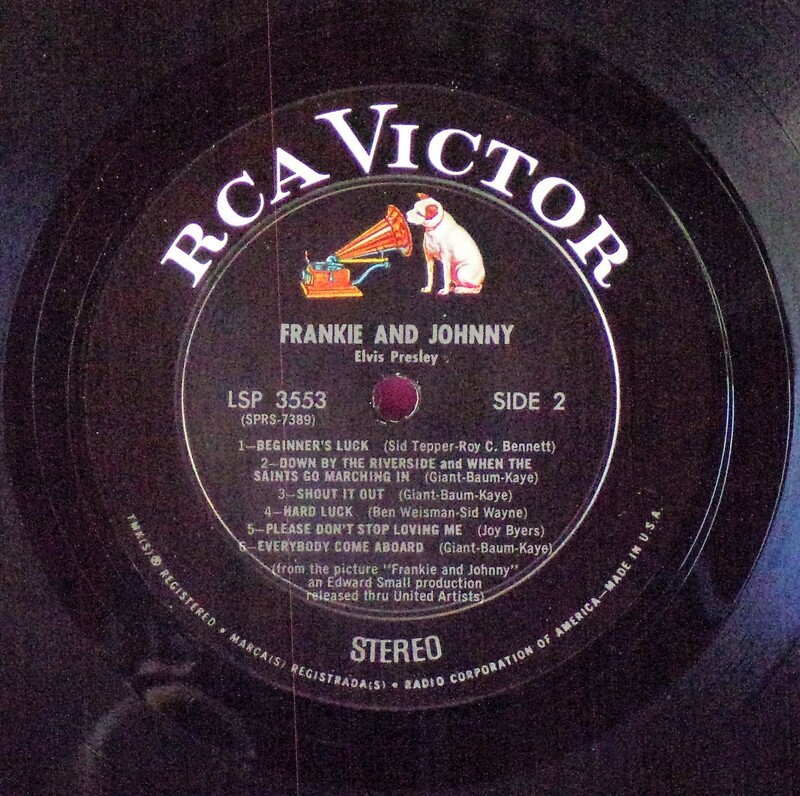 Released either just before or simultaneously with the album, "Frankie and Johnny" peaked at #25 on the Billboard Hot 100, with the b-side also charting at #45. 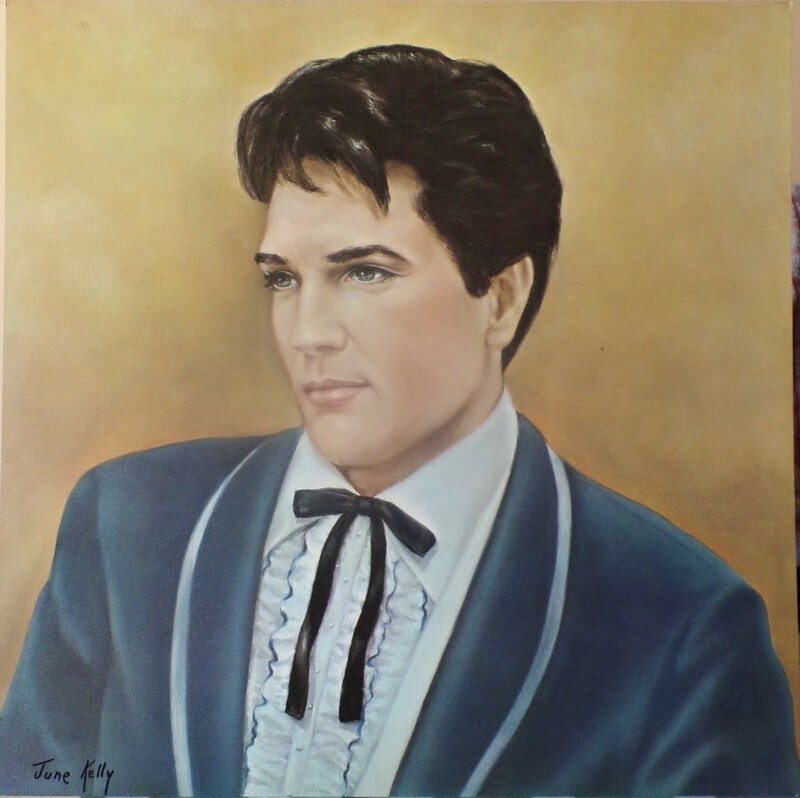 ​​Rear Cover : 10 Photos of Elvis. Catalogue number top right Mono LPM 3553 / Stereo LSP 3553. Printed in U.S.A. bottom left. *NOTE* A 12 X 12 inch photo was given away free for a period during this release. It was enclosed inside the album.